The Qs Inspiration concept is a saloon sibling for the QX Inspiration concept SUV, revealed earlier this year at the Detroit Motor Show. The front of the Qs uses the industry-norm blank grille, with a large Infiniti badge, illuminated lettering and sharp headlights. The blacked-out windows and A-pillars give it the appearance of a floating roof, while the handle-less doors continue the streamlined design to the as yet, unseen rear end. 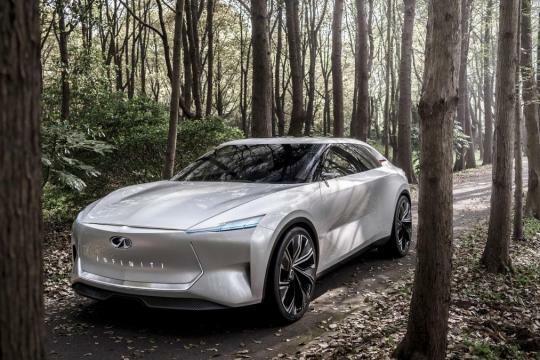 Infiniti says that the Qs Inspiration has been designed to offer a high driving position while still keeping the centre of gravity as low as possible for optimum control and handling. Under the metal of the Qs sits a new platform. 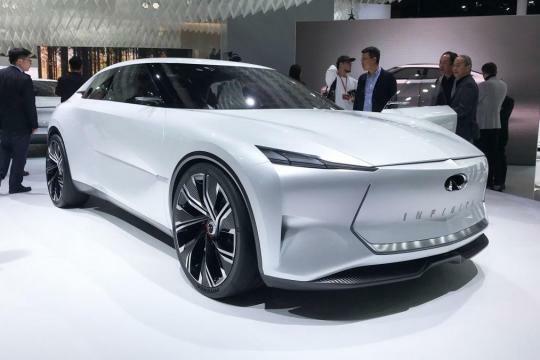 Infiniti says it is a ‘flexible’ architecture designed specifically for fully-electric and hybrid e-POWER drivetrains, borrowed from sister brand Nissan. In the case of the Qs, the powertrain is a ‘high-performance’ all-wheel-drive setup. Though the concept directly previews a new three-box saloon, we won’t be seeing the final product in Britain: Infiniti has announced it plans to pull out of Europe by 2020. 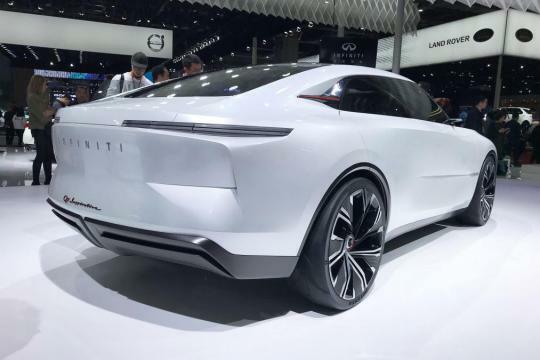 The brand will focus more on the Chinese and American markets, where large saloons are still popular. 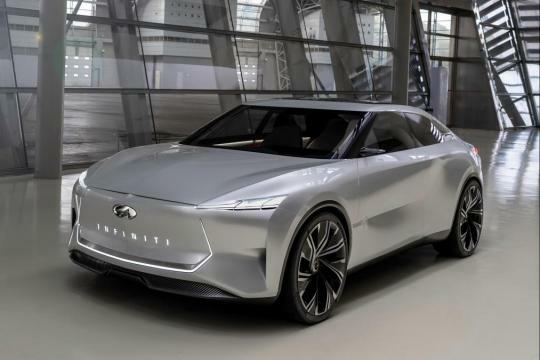 Christian Meunier, Chairman of Infiniti, said: "The age of electrification presents us with an opportunity to renew our credentials as an innovative challenger brand, ready to move quickly and decisively in this growing and exciting area of the market."